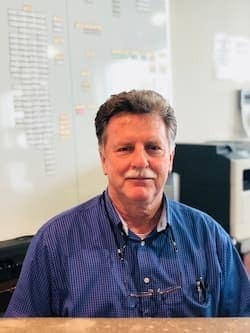 Hi, my name is Bob, I have over 30 years in the business. I have worked at many different dealerships and can honestly say I found a dealership that I am proud to be part of. We aren’t here to play games or mislead our customers with false advertising. We survive on repeat business and word of mouth. Huntington Jeep is the place to buy your next car. Hi my name is Dan. 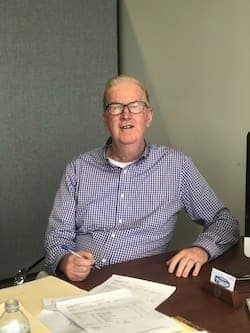 After working more years than I would like to say, in an industry I know and love, I am happy to be working for Huntington Jeep Chrysler Dodge Ram. We treat people with great respect. We are extremely competitive, and we refuse to engage in the deceptive practices employed by most of our competitors. 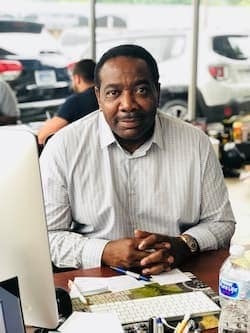 Charles has been with Huntington Jeep for several years and is always ready to help find your perfect vehicle. In his spare time he enjoys golfing, boating, and fishing. 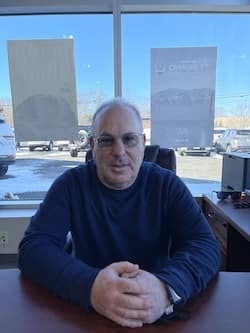 Hi, My name is Christos and I have been a part of the auto industry for 26 years. I try to make they buying experience fun and truly memorable. I am a graduate of the Greek Merchant Marine Academy. I played professional soccer for many years and am currently a 40 year volunteer of the Glen Cove Fire Department. 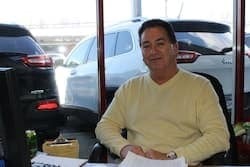 Hi, my name is Dave, I have been in car sales for 23 years and with Huntington Jeep for 10 years. I have been certified with the manufacturer for 15 years. I handle and maintain the pre-owned inventory and I can also help you with a new vehicle. I am 7’1″ so you can’t miss me, come on in and I can help you with anything you might need. Hi, my name is Ed. My auto sales experience goes all the way back to 1989 where I worked with Avis Rent a Car. 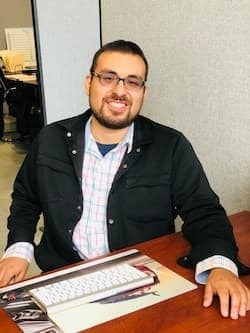 I have since worked for a few other stores and have made my way to working at Huntington Jeep Chrysler Dodge Ram since 2011. I have a very happy and loyal customer base following and would love to help you. 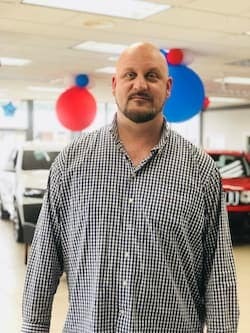 Hi, my name is Joel and I have been with Huntington Jeep for 4 years now. Prior to that I have 35 years of retail management experience. My goal here is to make your buying experience as easy and enjoyable as possible. I achieve this by listening to your wants and needs to get you exactly what you want. Hi, my name is Jonathan and I am one of the newer folk here in the business. Of course Wranglers are one of my favorite vehicles and I am more than familiar with the capabilities of these machines. I would be more than happy to help anyone integrate one of these vehicles into your life. Hi, my name is Keith and I have been employed at Huntington Jeep for 12 years now. 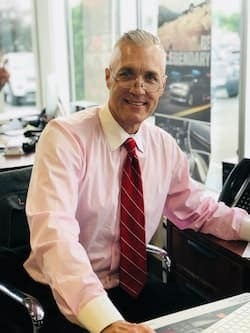 I am here to help you with all of your car buying needs. I am an active member in the Halesite Fire Department as well as being an EMT for the district. I enjoy sailing in the summer and skiing in the winter. 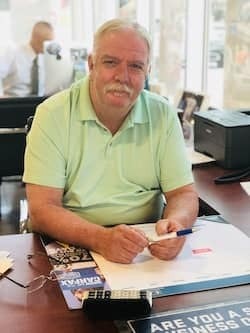 Hi, my name is Kevin and I have been with Huntington Jeep for over 25 years. 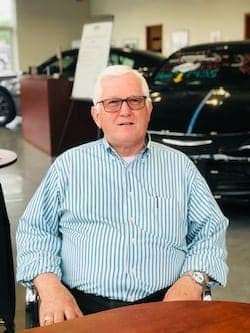 For the past 10 Consecutive years, I have been in the top 1% for Jeep sales throughout the United States dealing solely off referrals and repeat customers. In my free time, I enjoy playing golf and traveling with my family. 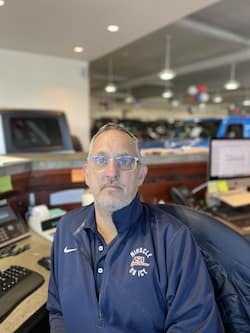 Hi, my name is Rich and I have been helping people with their Chrysler Jeep Dodge Ram purchases since 2011. I love what I do and more importantly, that I do it here at Huntington Jeep. I truly believe in our product and have 4 vehicles in our family alone. In my personal time, I love to run and compete in triathlons and running events. Hi, my name is Tom and I am a Long Island Local residing near Huntington New York, I have 2 daughters and 1 son. 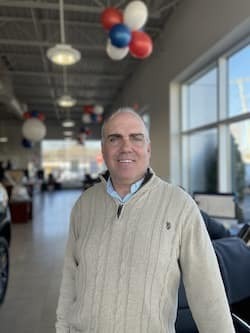 I have been Master Certified with Chrysler Jeep Dodge and Ram for 27 years and have been working at Huntington Jeep for 7 years now. I love the brand and have been purchasing it for many years now. 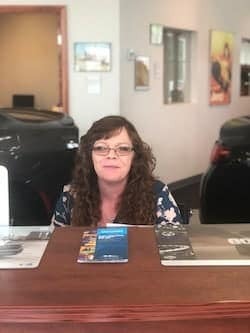 Hi, my name is Colleen and I have been working for Huntington Jeep Chrysler Dodge Ram Hyundai for 18 years now. I enjoy spending time with my family and friends and love animals. I want to make sure that I provide you with the most accurate information in order to save you the most time! 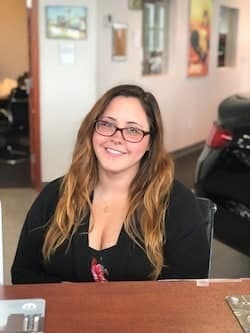 Hi, my name is Lily, I have been in the business for 4 years and with Huntington Jeep for almost 3 years. I love to travel and explore. I also enjoy cooking and baking. I have over 13 years of customer service experience so I will do everything I can to ensure that your visit here is a positive one.